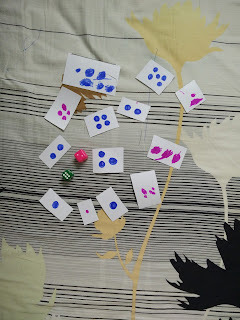 This is a very simple and quite engaging activity. A repeatedly played this for around 10 times proving her interest in playing this one. 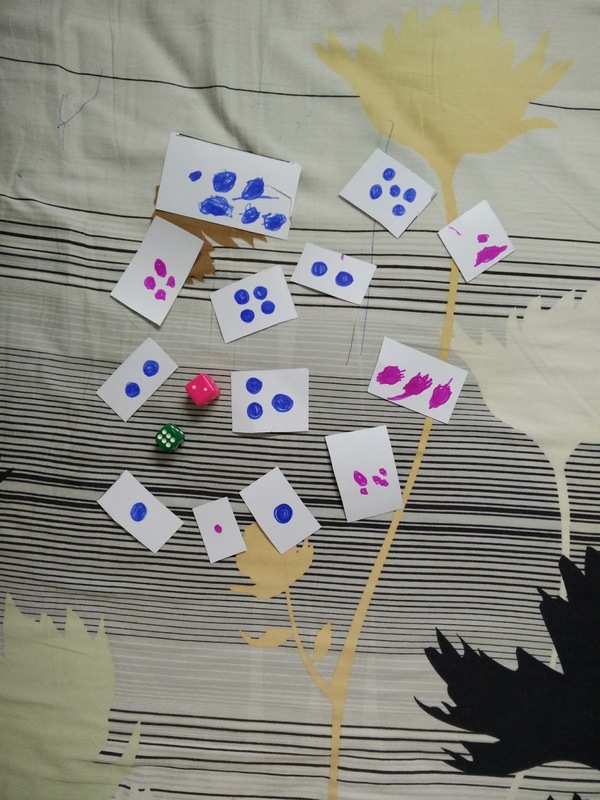 She even joined me in making the dot cards by drawing x number of circles and coloring them. Pick any card and see if you have to add or subtract a number to match the number shown on die.